Planning a winter wedding? 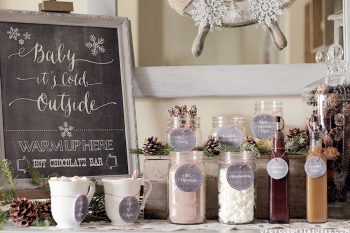 I recommend adding a DIY hot cocoa bar to your festivities! I had one during my wedding reception and I loved seeing all of my guests walking around with a mug full of the good stuff! Not only that, but it’s a blast to see guests choose their own toppings. A cocoa bar is one of the simplest holiday decor ideas for a wedding. Everyone likes something different and it’s fun to see everyone outfit their cups with the treats that they like! 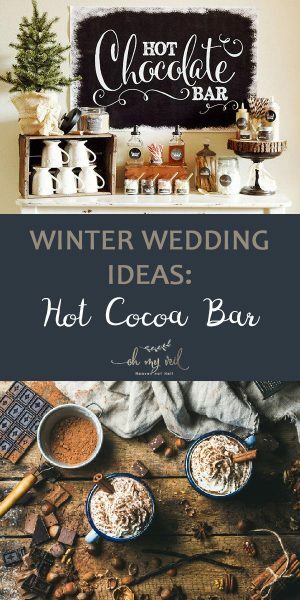 A hot cocoa bar is seasonally appropriate for a winter wedding and it works great as part of your dessert buffet. I love these kinds of winter wedding and holiday decor ideas! 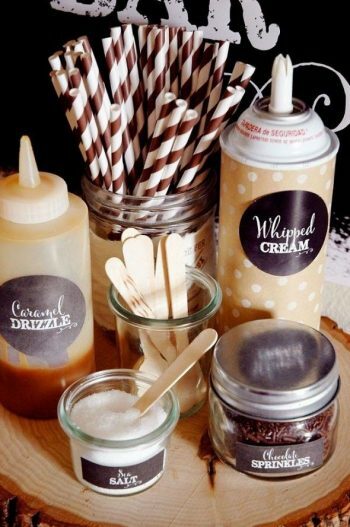 Try one of these hot cocoa bar ideas for your wedding! A homemade hot chocolate bar isn’t complete without a variety of different hot chocolate toppings! To please your wedding guests, have a variety of cookies, biscotti cookies, chocolate syrups, whipped cream, and cinnamon sticks available for infusion. And, of course, let your guests take the hot cocoa mugs home! 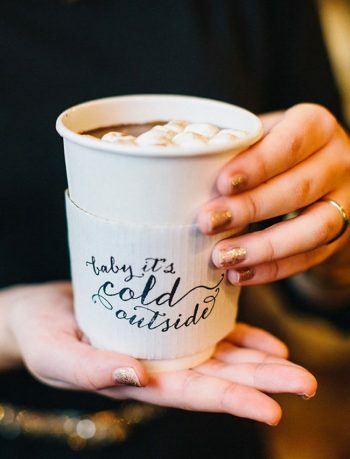 Even if you use store-bought items in your hot chocolate bar, cover them with a label that matches the scheme of your event. I find it helpful to use my Cricut for projects such as this! After all, nothing ruins a vibe quite like a bright “Cool Whip” logo! 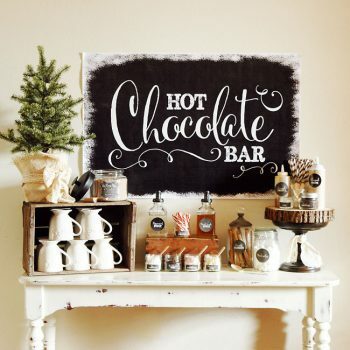 Direct your guests to your hot chocolate bar with a large, easy to read signage! If you look closely, you’ll see that this bride used the same style of print to label her topping containers as well! This is one of the perfect holiday decor ideas for a rustic winter wedding! Image from Southbound Bride. Speaking of labels, make sure that you include them because they really ARE so important! No one likes to reach blindly into a container! While some brides like to stick their label directly on the glass, I like to display the label with a simple piece of red yarn. That way, it’s easy to reuse these containers later on. 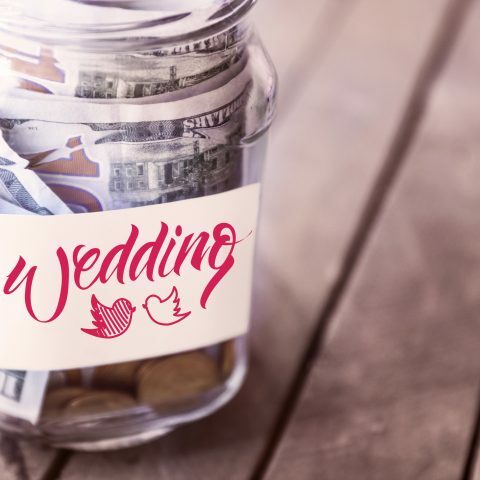 Take it from a bride who knows, never forget your labels! 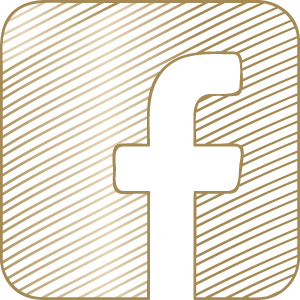 It’s important to incorporate personal touches that represent you and your spouse wherever possible on your big day! If you choose to incorporate a hot chocolate bar into your wedding decor, make sure that you add personal touches to your display, as well! Personal touches could include things like personalized coffee sleeves, straws (for all the sippers and lipstick-wearing ladies out there! ), or customized napkins. Nothing is off limits for holiday decor ideas like these! As long as it adds a little touch of “you” it’s perfect for your big day! Image from South Bound Bride. 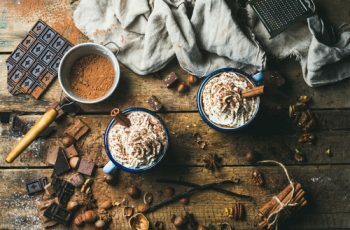 Use The Best Hot Chocolate Recipe! Naturally, you can’t have a hot chocolate bar if you don’t have hot chocolate! For a tasty wedding treat, use this super easy hot chocolate recipe. You’ll only need a few items commonly found in your pantry! *this recipe is for 92 eight ounce servings! Step One: Combine sugar, salt, cocoa with a whisk. Step Two: Warm the milk in a medium saucepan at temperatures of medium to low heat. Add two tablespoons of the cocoa mix for every cup of milk and stir to dissolve. Repeat so you have as much mix as necessary! This recipe is much easier than store bought and it tastes seriously wonderful. Take A Mini Hot Chocolate Bar Home! If, for whatever reason, you elect not to include a hot chocolate bar at your wedding reception, but still want to incorporate the tasty treat in somewhere, send guests home with a mix instead! 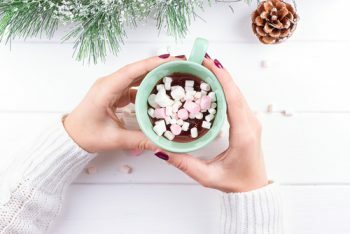 Package your homemade hot chocolate mix (recipe above!) 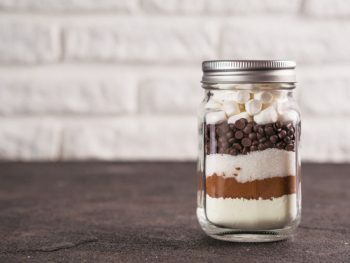 in mason jars and top with chocolate chips and mini marshmallows. 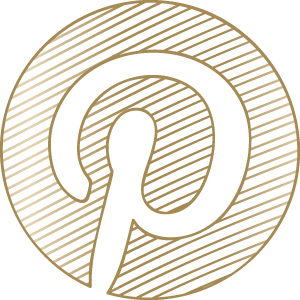 Seal the jar with a square of fabric and a ribbon that matches your color scheme. Your guests will love enjoying this at home!